After my initial review of one of the products from the Hunt's Snack Pack Bakery Shop line, I was both curious and anxious to dive in for a second review since this line of products has what seems like very interesting flavors. Next up in the series is this review of the Hunt's Snack Pack Bakery Shop Frosted Sugar Cookie Pudding that I picked up on sale at Meijer for $1.00. 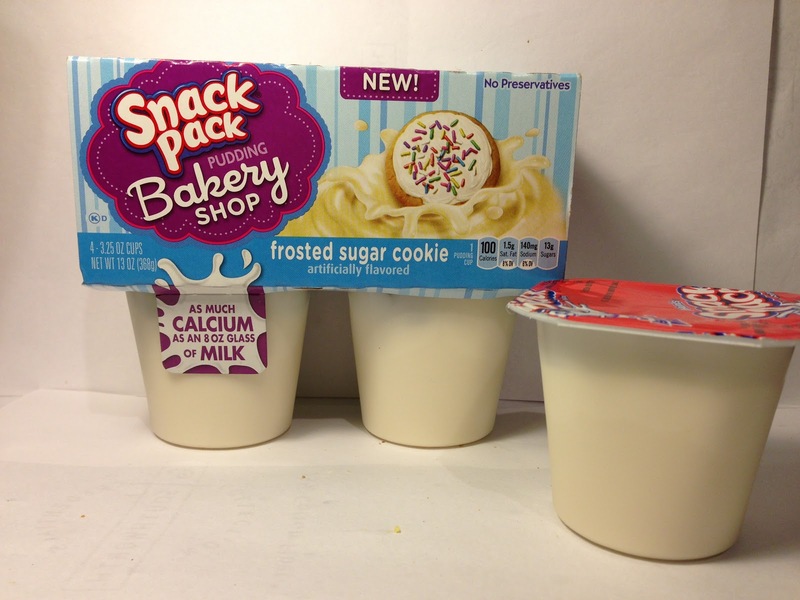 Each package contains the typical four 3.25 ounce pudding cups and each pudding cup is 100 calories. It's also equivalent to an eight ounce glass of milk, so yeah calcium! When you look at this pudding cup, it's certainly not going to win any design of the year awards or make you hungry just by looking at it because this is about as boring as you can get. It's white pudding and that's it. Not that frosted sugar cookies themselves are modern works of art, but this is just about the most boring thing I've ever seen. It looked just like a cup of vanilla pudding. Sadly, it basically smelled like vanilla pudding as well with a very faint hint of a sugary frosting smell. That's it...that's all she wrote about this one. Looks were not deceiving here as not only was this a boring looking pudding cup, but it was a boring tasting pudding cup as well. To me, this was just vanilla pudding. I suppose that if you tried really, really, really hard (and I did), you could discern some sort of sugar cookie aftertaste, but again, that was only there if you tried to use all the powers of your taste buds. If you were just absentmindedly spooning your way through this, I am 100% confident that any person would think this was just vanilla pudding. Buy It or Fly By It? This might be the shortest review I've ever written and that's because this product didn't deserve for me to waste any more time on it, so it gets a FLY BY IT rating. 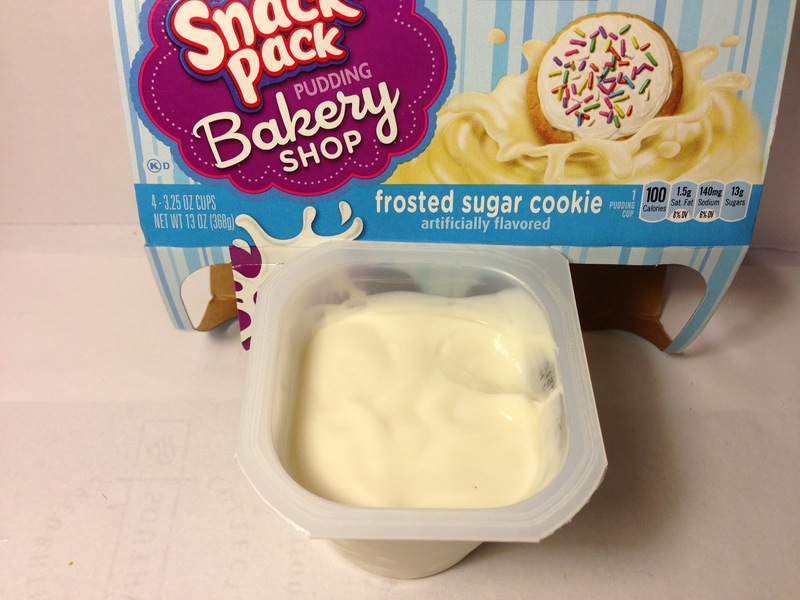 With what could have been a fun and different idea (how many sugar cookie flavored products do you actually see out there? ), Hunt's took this and made it as boring as humanly possible. Stay away from this unless you are looking to add some boredom into your life. I thought it was really disgusting to be honest. It tasted like chemical infused vanilla... bleh. Good summation. As you read, I was less than impressed as well.